First of all we need a plane because we are going to fire rays from the mouse position and we need a plane with a collider to figure out where the ray hits the world. So add a plane and resize it so the plane covers the screen. Then you need an empty gameobject, and as child to this gameobject you should add a quad. Rotate the quad so it faces up and resize it to 0.9 in each direction. We will use this quad to display the grid and our cell size will be 1 m, so the quad should be smaller so we can see each cell. Now you need to add a new script called GridController. Add this script to an empty gameobject and drag the empty gameobject with a quad to this script. //How many cells do we have in one row? //Is a world position within the grid? Drag the cubes you approximated the shape of the object with to the array. You also need to fill in how many cubes you added in each direction. In the first image above there are 3 cubes in z direction and 2 cubes in x direction. 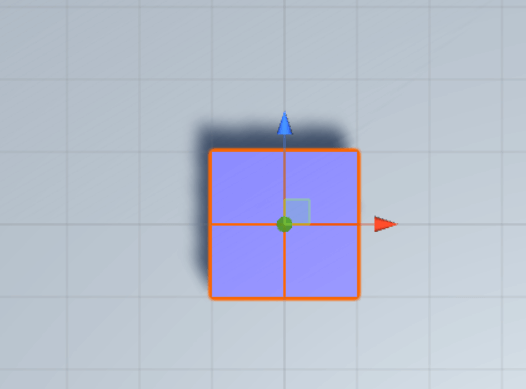 This is important because we snap the center of the object to the grid and it depends on if the number of cubes in a certain direction is even or uneven. 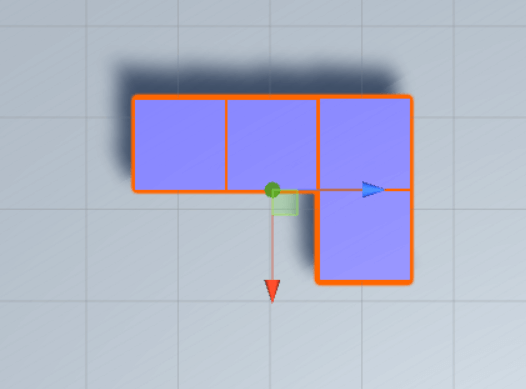 These two values will be swapped if we rotate the object. If you reposition the camera and press play you should now see that you can snap the object to the grid!